Because God is Good Like That! Special Reminders. I want to hear YOURS! Can Anyone Help? I'm Trying. I promised to keep you updated as progress is made with my fight for Wyatt's birth certificate. I mentioned in an earlier post, that I had written a letter to the newspaper and was waiting for the editor to contact me regarding when it would be run. "If you could spare me two minutes, I would like the opportunity to share a lifetime with you. The life of my son, Wyatt Nathaniel Finchum. The day we went in for our 18 week anatomy ultrasound our world came crashing down around us. We went into the ultrasound expecting to find out what we were having so we could share the news with our families. Instead, we found out we were having another son, and that he would die. Phone calls to families that should have been filled with joy, were filled with tears and broken dreams for a son we would never bring home. 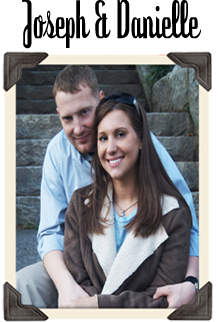 My husband and I were advised to terminate the pregnancy, but that was never an option for us. We decided to carry our son to term and to wait to meet him with love. 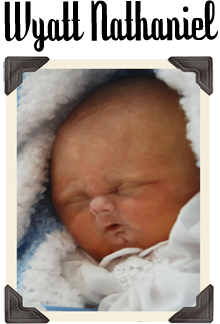 We were told by numerous doctors that we would never see our son alive, but we hoped. We hoped with all our hearts. I was just shy of 34 weeks when my water broke. I can't begin to describe the emotions that flooded through my body. I knew the birth of my son Wyatt, also meant his death. I wasn't ready to give him back to God. As we made our way to the hospital I prayed Wyatt's movement wouldn't stop. I asked my nurse to hide the monitor of Wyatt's heartbeat from me because I didn't want to know if his heart stopped beating. I was worried I wouldn't be able to get through labor if I knew he had already passed away. I was clinging to hope. Hope for a misdiagnosis. Hope he would be healed. And if all else failed, hope to see my son alive long enough to tell him I loved him. As my doctor came in, I told her I wanted to do what was best for Wyatt. She advised he wouldn't survive a natural birth, and we decided to do a C-section. I was so scared. I've never had surgery up this point, but I wanted so desperately to see my son alive. I knew full well my son would die long before my body healed, but it was such a small price to pay. I can look back and know I did everything I possibly could have to give my son life. On June 1, 2009, Wyatt Nathaniel Finchum was born at 10:03 am. And yes, he was alive! He had a faint heartbeat and he was breathing. I actually got to witness his chest as it rose and fell before they whisked him off to the next room. I laid on the operating table and cried tears of joy for the miracle I had just witnessed. 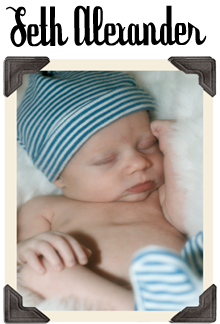 Before the doctor even finished sewing me up, my husband brought our son back over and told me he passed away... But, he died holding his daddy's hand. Just knowing my son and I breathed the same air for two minutes means the world to me. It's the most precious two minutes of my life. I had 120 seconds where my entire family was here,... where my family was complete. I wouldn't trade that for anything in the world. I called last Monday to order a copy of Wyatt's birth certificate. I was in shock when they told me he was listed as a stillborn. Of course I was upset, but I just figured it was a mistake. Fix it. But there was no mistake. Because a new definition of live birth which took effect in 2005, my doctor was not able to medically acknowledge my sons life. "...the complete expulsion or extraction from its mother of a product of human conception, irrespective of the duration of the pregnancy, that, after such expulsion or extraction, breathes or shows any other evidence of life, such as beating of the heart, pulsation of the umbilical cord, or definite movement of voluntary muscles, whether or not the umbilical cord has been cut or the placenta is attached. Heartbeats shall be distinguished from transient cardiac contraction, and respirations shall be distinguished from fleeting respiratory efforts or gasps..."
Although my son was breathing, his attempt to breathe was not deemed a good enough effort. I'm not going to sit here and whine and complain about how unfair or unjust this is. But I am going to do something. I have a proposal for a new definition of live birth that is currently being used by the state of Maine. One I hope the state of Tennessee will adopt. I want to make the residents of Tennessee aware of this regulation placed on doctors. My doctor wanted so badly to acknowledge Wyatt's short life, but her hands are tied. I have a petition that can be signed at http://www.thepetitionsite.com/1/recognize-life-in-tennessee. I am currently looking for places around Sevierville, Pigeon Forge, and Gatlinburg where I can leave copies of my petition. 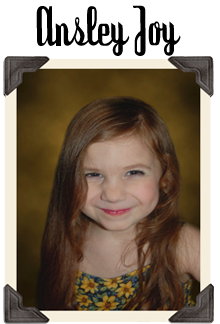 I also have a blog at http://wyattnathaniel.blogspot.com if you are interested in reading more about our family and our sweet Wyatt. In the time it took you to read this, my son lived and died. Two minutes might not seem like much, but it's an eternity when it's your child's lifetime. I won’t deny the fact that my son was dying as soon as he was born, but he lived... he fought to breathe for those two minutes and his life deserves to be acknowledged. I would like to get Tennessee’s definition of live birth amended to a more acceptable definition that recognizes life no matter how short it may be. I don't want another family to have to go through this. A child dying is enough to handle without having the validity of that child ripped away as well. I come to you with a broken heart and a damaged spirit, asking for help. 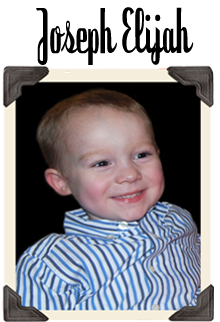 God performed a miracle when my son was born alive, and I just want that to be recognized." I'm up to 156 signatures on my online petition. I'm praying people will start flooding my e-mail with places I can leave my petition around town to have signed. The editor said he would contact me if anyone called wanting to sign. The story was printed. If it just gets me one more signature that means I'm a little bit closer to having Wyatt's life recognized! I am so happy that the paper ran the story. I hope the word get outs there, and more people come forward to sign. I wish I could be of help, but I will be here rooting you on from afar. Oh Danielle it is a Beautiful article!! You did an amazing job sharing Waytt's story and life in such a uplifting and heartfelt way. Although it can never take away any of the heartache or grief you feel over Wyatt', this just shows what a BIG purpose and impact his little life had on this earth. Have you talked to Angie Smith (www.audreycaroline.blogspot.com) about this? She lives in Tennessee and I believe she goes to a large church there. Maybe there is something she can do to help spread the word about the petition. Just a thought. Ok, your letter had me in tears! You wrote it so well, Danielle! I don't know how ANYONE would NOT be moved by it. I hope that you can get lots more signatures with it running in the paper. 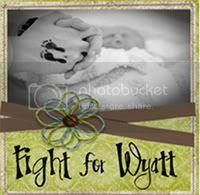 You are doing an awesome job at fighting for Wyatt! That is wonderful that they printed this! I am so glad the story was written. And even more happy for you that your fight for Wyatt is still on the move. Hello Danielle - I just found your blog through the BlogFrog network and wanted to stop by and say hello. Your story is a heartbreaking and inspiring one. I'm so glad the newspaper ran your story and you are getting more and more support in helping TN recognize the life of your son, however short it was. I'm sure it must be hard to keep up the fight while you are still grieving as well. You have many readers who support you and who are on your side. Thanks so much for sharing your story - it is nice to have discovered your blog.